Marvel Studios is currently shooting the feature film ‘Spider-Man: Homecoming’ in the Atlanta, GA area and this official casting call is seeking young looking men and women to portray party guests. The scenes will shoot on August 4th and 5th. You do not have to live in the Atlanta area, however you must be willing to work as a “local hire”. These are fully paid positions. The submission details are posted below. To be considered, you must have legal eligibility to work in the entertainment industry in Atlanta, Georgia. This film is using the working title, “Summer of George” during filming. Starring in “Spider-Man: Homecoming” is Young Artist Award winner Tom Holland as Parker/Spider-Man. Among the impressive cast list are two-time Academy Award nominee Robert Downey Jr. as Tony Stark/Iron Man, Academy Award winner Marisa Tomei as Aunt May, Academy Award nominee Michael Keaton as Adrian Toomes/Vulture, Teen Choice Awards winner Zendaya as Michelle, Tony Revolori as Flash Thompson, Kenneth Choi playing the role of High School Principal, and Logan Marshall-Green as Phineas Mason/Tinkerer. Jon Watts is directing “Spider-Man: Homecoming” from an adapted screenplay written by BAFTA Award nominees John Francis Daley and Jonathan M. Goldstein. Publicists Guild of America Showmanship Award winner Kevin Feige is overseeing production for Marvel Studios. Also producing is Pascal Pictures CEO Amy Pascal and Eric Hauserman Carroll. Executive producers are Matthew Tolmach and Stan Lee. “Spider-Man: Homecoming” is scheduled to hit theaters on July 7, 2017. 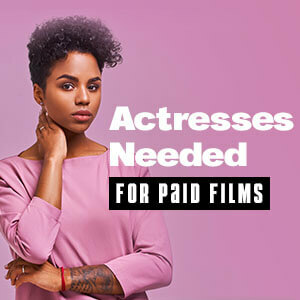 All talent and crew members are required to be legally eligible to work on films in Atlanta, Georgia and in the United States. • Males and Females, ages 18-25, any ethnicity. To portray high school age students at a night party. • Males and Females, ages 18-25, any ethnicity. To portray high school age students swimming in a pool or hot tub at a night party. Those chosen will work on both Thursday August 4th, and Friday August 5th. These are night shoots, with an approximate start time of 7:00pm. The pay rate is the standard Atlanta rate for extras, $68 for 8 hours with overtime pay after that. Those chosen to be in the swimming pool will be given a $15 bump. Please follow these submission instructions carefully. Submit by Monday morning August 1st. The film’s director will make the selections from the submissions. Submit two clear recent photos, one from the shoulders up, and one from the knees up. If you wish to be considered to be in the swimming pool or hot tub, please submit one additional photo in a swim suit. -City and State where you live or are coming from. If you are more than 3 hours drive from Atlanta, GA please state “LOCAL PLACE TO STAY”. “I CAN SWIM” under your stats. Starring and supporting roles are mainly being cast through talent agents. However, if you are not signed with an agent and wish to self-submit, I highly recommend that your 8×10 color headshot and resume along with the cover letter be sent in a 9 x 12 Clear Full Face Window Envelope with the photo visible in the window. Do NOT send photos and resumes to the production companies, as they will end up being thrown away. They do not cast the films, rather they hire casting directors who sort through the thousands of submissions (see above). The next installment in the superhero franchise. In 2002, B became interested in working on committees at the Screen Actors Guild, and has served on the Background Actors Committee and the Native American Committee and is a parent of two young daughters. CONTEST ALERT! Win Amazing Prizes and the Spotlight You Deserve!